It's not the end of the story after your paper gets successfully published! To gain more impact from the academic community, you need to publicize your work to a larger audience. PolyU Institutional Research Archive (PIRA) is a place where you can deposit a copy of your work to make it available to the international research community. Researcher Profiles (ORCID, ResearcherID and Scopus Author ID) will help you better organize your publications and as a consequence, increase the visibility of your works. 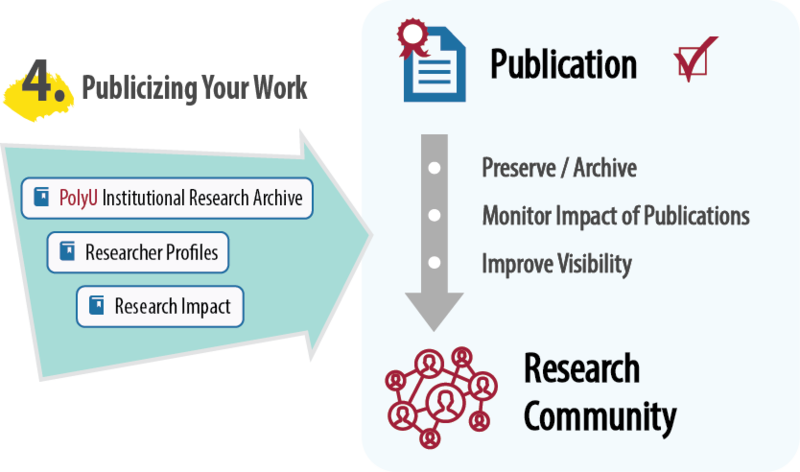 This guide directs you to four individual guides that introduce you the channels to deposit your works in PIRA, research impact at article, journal and an author's level, three types of researcher profiles, as well as managing research data.